I fall squarely into the latter camp. Hmmm. Let's discuss. Brief aside for an interesting thought: if Nin were alive today, would she be a blogger? I suspect so. But when I write about what happened to me the day before, I get bored and rush through it. I feel compelled to note it for some mythical future reader (unless I decide to burn all my journals, which is a real possibility). I don't really enjoy this living twice thing. And its not that I'm bored with my life, because I'm not, I love my life, for the most part. What comes out in my Moleskine, when I allow myself just to let loose, is a volley of ideas, things I want to ponder that perhaps grew out of what happened recently, thoughts on blog posts, articles and books. That kind of stuff is what populates my journals. Also recipes, notes from phone calls, lectures, sermons, and conversations, names of websites, phone numbers and so on. All this forces me to one conclusion: I've a shallow, impatient mind. What about you? Do you have a deep, thoughtful mind that loves to dissect every aspect of the day before? What do you journal about (if you dare tell)? 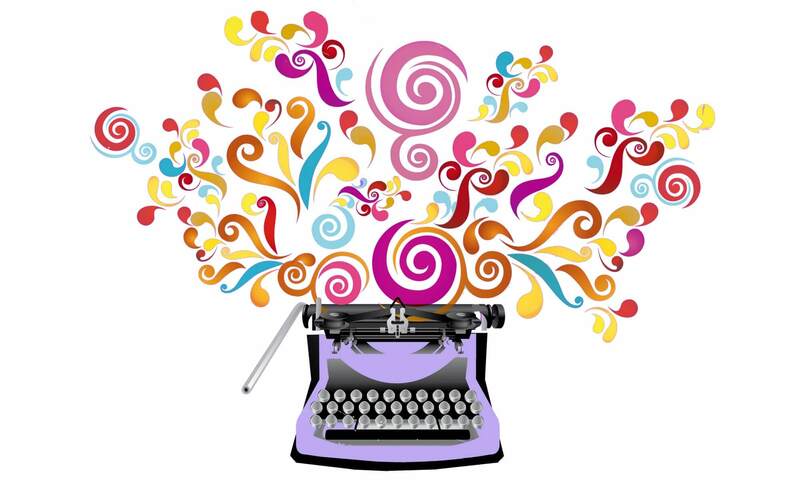 **Don't forget to sign up for the Get Your Novel Written Now class, which starts in October! When Is A Food Journal Not For Your Diet? Well, after a brief break for Christmas and sloth, it is time, finally, to resume my series on journal writing with a final flourish. It is a flourish because what I'm going to discuss is my current favorite type of journal writing, though I reserve the right to have a different favorite next month, because, well, that is what happens with journal writing. And maybe even regular writing, too, if there is such a thing as regular writing. So here goes. My current favorite type of journal writing is the Chronology. This is my name for actually writing about the things that happen in your life, the people you run into, the day to day events that make up your existence. 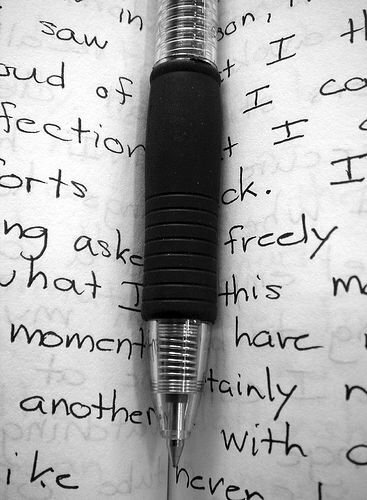 The desire to write a chronology of our days is why may of us are drawn to journal writing. It is the urge to make meaning of our lives, or perhaps the desire to leave something for posterity. The chronology records history in the making if we're lucky–witness the diaries of pioneer women that have been such wonderful records of that era. The chronology is also fertile ground for practicing the writer's craft. In noting the details of your best friend's outfit and how she never seems to wear things that match yet she always looks great, that you start to understand how to create characters that come alive on the page. In writing a description of the coffee shop you visited the day before, the seeds of description and setting are created. And so on, through all the aspects of observing a day to day life. The chronology is what fills our journals with rich detail and interesting tidbits. And yet, this kind of writing is what is often sorely lacking in my own diary. Why? Because when writing a journal on a regular basis, I tend to get lazy. (Um, this seems to be a theme for me this week.) It is far easier to indulge in a whiny emotional outburst or write quick morning pages that are really more about the day's to-do list than to really write about the what happened the day before: how the sun looked on the river as you crossed the bridge, or the way your son's face lit up when he took a bite of chocolate. I realized how the quality of my journaling had deteriorated when I read My Life in France, by Julia Child this summer, after seeing the movie, Julie and Julia. If you saw the movie, there were several scenes where Paul, Julia's husband, is seen sitting at a desk writing letters to his twin brother back home. Those letters were apparently so filled with detail and wonderful tidbits that they were used heavily by Julia and her nephew in writing her memoir (which is, by the way, delightful, and well worth reading). 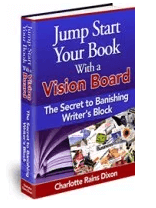 Upon reading this I was struck by what a rich vein of gold letter writing results in, and then I realized that journal writing could be the same thing. My journal writing could be a rich vein of gold, if only I weren't so indulgent about all those whiny outbursts. Or obsessed with to-do lists. So I resolved to actually write something of worth in my diary and began to sit every morning and write an account of the day before. Yet this chronology meandered and lacked cohesion. (I know, I know, its a journal, it is not supposed to be perfect. But, as with all writing, I need to feel comfortable inside the form before it takes off for me.) And then I read a charming article in O magazine. I'm sorry I can't point you to the exact month because I tore it out and gave it to my daughter, but it was sometime this past fall. The article was written by a woman who had recently had a baby. During her pregnancy, she wrote down every single item she had eaten and with whom, the idea being that her baby was the sum total of all of this food and company. And from this I got my brilliant idea–keeping a Food Journal. No, not the kind that nutritionists and diet experts tell you to keep, though that can easily be incorporated. This kind of food journal notes not only what you ate, but where you ate it, who you ate it with and what they were wearing, what song was on the radio as you drove down the freeway with a McDonald's breakfast sandwich in hand, whatever. And then that leads to a paragraph about how, you guessed it, the sun shone on the river as you crossed the bridge over it and so forth and so on and before you know it you've written a chronology of your entire morning, full of lush detail and interesting anecdotes and now you're onto lunch, which is a whole other story in itself, because your numbskull co-worker told that stupid joke and then your boss yelled at all of you while she had a piece of toilet paper stuck to her shoe. So what the Food Journal really does is give you an excuse. It gives you an excuse to write about everything that happened in your day, and in giving you a structure, it makes it so much easier than to meander about in your brain and try to remember what you did. Food is life, as we know, and it turns out that writing about food makes remembering life easier. This kind of journaling takes a long time. Writing about your entire day could easily take your entire morning. So you might want to limit yourself to one aspect of it. Or not. What I find is that this kind of writing, the loving attention to the detail of reality, leads me back into the writing that I truly love doing–writing novels. And then the hell part is that I get so engrossed in writing novels that I don't have time to keep a food journal or really any kind of diary. But that is okay, because my journal will be there waiting for me, as it always is, when I feel the need to write morning pages to get myself back on track again. Or to do some writing exercises because I've lost my way and feel blocked. Or because something happened to me of such import that I feel the urge to write about it. That's the great thing about journals–they are always there for you. Photo used under Creative Commons 2.5 license.